Searching for a 2.5% selenium sulfide shampoo? Selukos is possibly your answer. It’s not an everyday shampoo. It contains 9 (out of 13) harsh ingredients known to cause contact dermatitis. Anti-dandruff products which are hard to get your hands on have a habit of being very effective. Take for example Selukos anti-dandruff shampoo, a 2.5% selenium sulfide formula using the exact same active ingredient and quantity of ingredient as one of our favorites here at Deconstructed Towers – Selsun 2.5% shampoo. 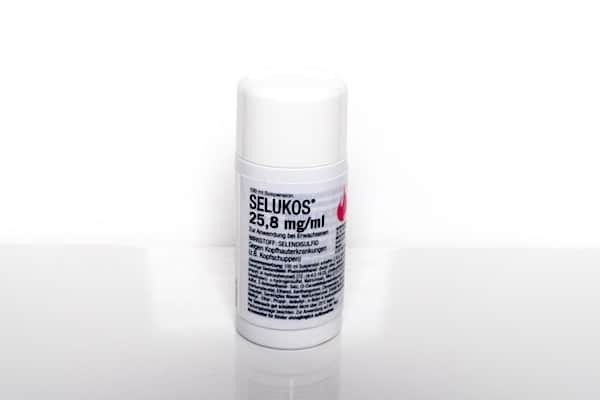 With a mighty 2.5% anti-infective dose, Selukos has potential as a strong contender for moderate to severe cases of seborrheic dermatitis. Before you buy, be sure to read our full review. First stop: Who makes Selukos anti-dandruff shampoo? …and should you trust their expertise with your dandruff prone scalp? Thank goodness for the internet because without Google Translate our in question Selukos anti-dandruff shampoo would be very hard to get a handle on. Manufactured in north-west France but owned by a company headquartered in Vienna, the history of Selukos anti-dandruff shampoo is elusive. As listed by law on their packaging, Selukos anti-dandruff shampoo is owned by a company called Meda Pharma who in 2016 was acquired by Mylan. Now housed under Mylan, Selukos – one of their smaller brands finds itself directed by a company who with over 2, 700 pharmaceutical products aim to create better health for a better world. With more than 50 global R&D locations, Mylan is a global healthcare company with a commitment to doing what’s right, not what’s easy. A fantastic ethos. Now, what about the product in question – what can you expect when ordering yourself a bottle of Selukos anti-dandruff shampoo? 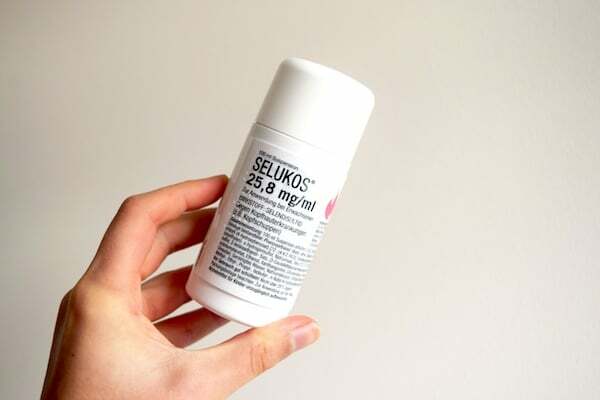 The Selukos front label has the clean black print of Selukos accompanied by a large pink droplet. Other than this there really isn’t any branding to be seen. The full label is a pull-out information leaflet and on the first face you’ll find the German ingredient list taking pride of place – see our translation for the full English version. A quick twist and you’ll be lifting off the Selukos white cap in no time to reveal a very controlled dosing lid. This is fantastic for a high strength anti-dandruff shampoo – it gives you real precision in how much to use. The shampoo liquid itself is an opaque orangey brown color with an indistinguishable smell which can become significantly stronger the hotter your water. 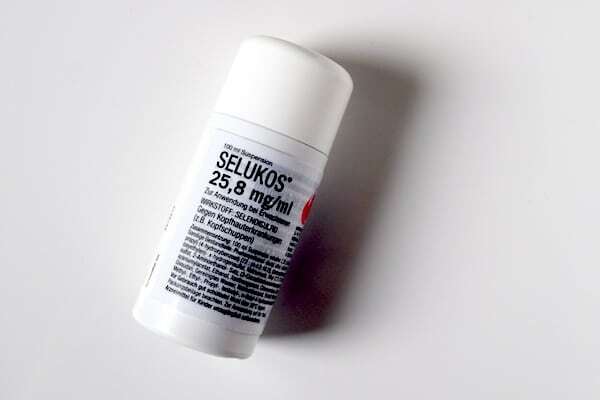 Selukos doses easily, lathers easily and washes out easily. Doing a patch test on arm skin we also found it left skin soft and not dried – a common side effect of high strength anti-dandruff shampoos. Here’s the how to use instructions in English: Massage into wet scalp, leave for 2-3 minutes then rinse thoroughly. Use twice weekly for 2 weeks, may repeat at less frequent intervals subsequently. As a single active ingredient product, Selukos anti-dandruff shampoo focuses on 1 anti-dandruff ingredient in a high concentration – selenium sulfide. 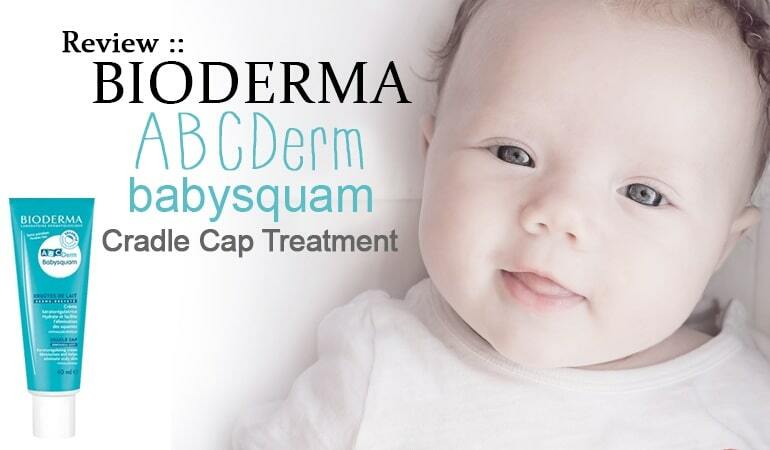 This is possibly my favorite active ingredient for controlling my seb derm. In a 2.5% dose anyway. Selenium Sulfide is a known anti-fungal which can work against your dandruff by slowing the growth of yeast. An outcome proven by a very large scale study conducted on 246 patients in 1993 where researchers tested a 2.5% selenium sulfide shampoo on sufferers of moderate to severe dandruff. The conclusion – selenium sulfide is an effective active ingredient for the treatment of moderate to severe dandruff. Out of the 246 patients recruited, only 9 reported adverse effects. Not only is selenium sulfide an anti-fungal, anti-infective active, but when/if sulfur becomes freed from selenium, it is known to have keratolytic action. All this means is sulfur can help exfoliate your skin – something which is extremely useful when you have dandruff as the more quickly your skin’s exfoliated, the fewer dandruff flakes you’ll have. While many anti-dandruff actives are fantastic for mild to moderate dandruff, not so many are proven effective for moderate to severe dandruff. And it’s here where Selukos anti-dandruff shampoo is a standout. But wait, what about the other ingredients Selukos use? Are there any other anti-dandruff helpers? Are there any sensitive scalps should avoid? The Selukos anti-dandruff shampoo formulas is certainly interesting. Perfume – a potential allergen, although what perfumes this uses is hard to tell. It smells like a clinic! So this isn’t exactly a gentle formula. But it’s still effective. I used it for a number of years when I worked in Sweden and it worked. It is a real shame the rest of the ingredients are so clinical, but this isn’t an everyday shampoo. 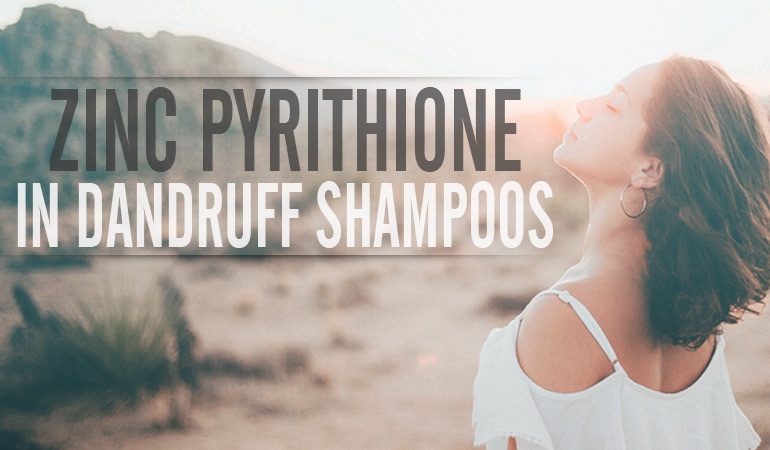 2.5% Selenium Sulfide and 2% Ketoconazole are still proven to be the most effective anti-fungal shampoo ingredients (available OTC in many countries).